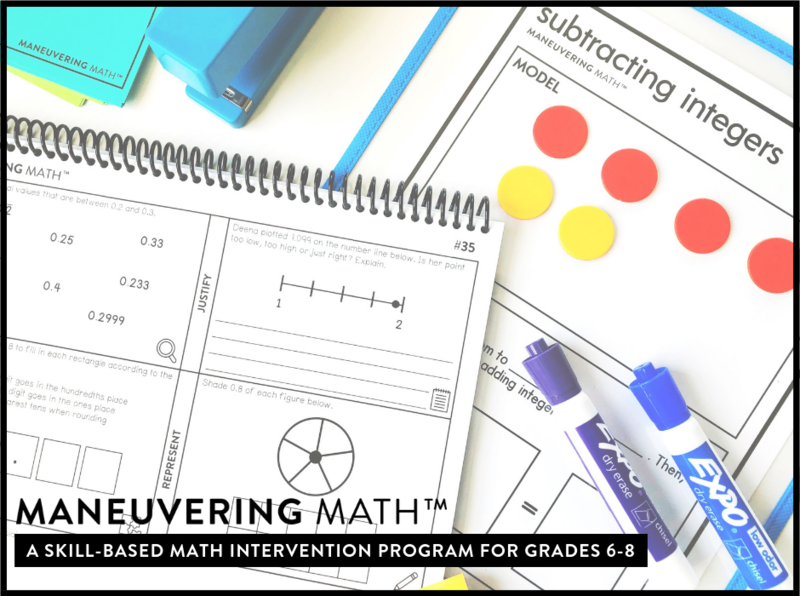 Math Intervention is a class or period of time devoted to helping students who have been unsuccessful (typically on standardized tests) by providing additional time and resources. 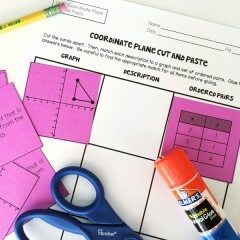 Oftentimes, a math intervention class is smaller in size or might include a co-teacher. In my experience, there is not a lot of structure, direction, or resources to support math intervention. 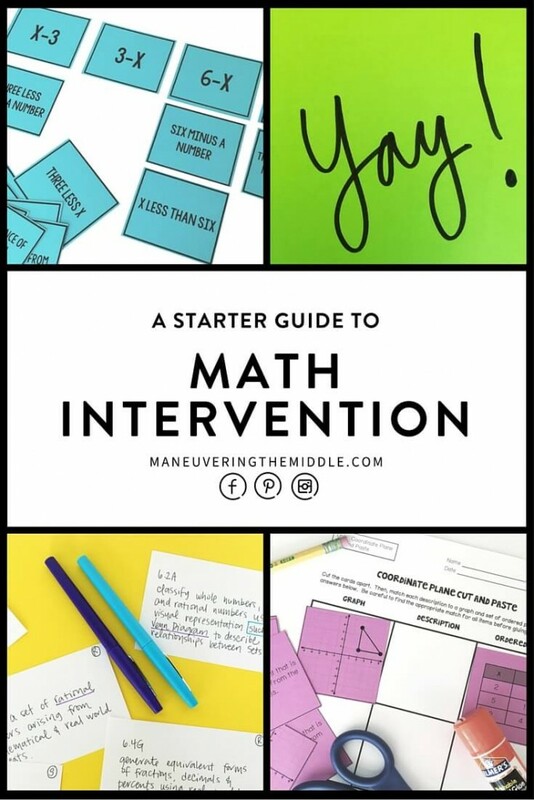 Today, I am sharing my favorite math intervention schedule. 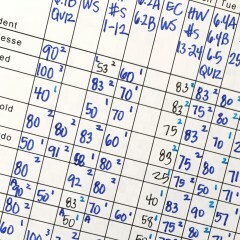 In my second year of math intervention, students were assigned to a math block class for 100 minutes. 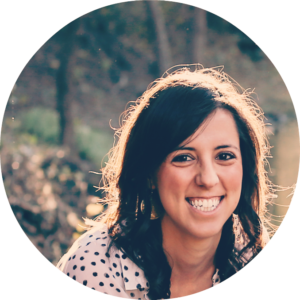 It was my role to teach the on-level content, as well as set aside time for intervention. My co-teacher would join me for the second 50 minutes. This allowed for me to take a bit of extra time with the on-level lesson before switching gears for the intervention portion of the class. It was challenging because all of the students in the class struggled with math and had high needs. Math intervention students were spread within on-level classes throughout the day. All of my students had already attended my on-level math class. This could also work if you met in the morning and had on-level classes in the afternoon. My co-teacher came during math intervention time to allow for more small group instruction. Two 50 minute blocks are more impactful that one 100 minute block, in my opinion. In order to build fluency with math skills, there were quite a few things that were a part of our daily rhythm. We would do timed math skills to build fluency. I started the year with a 12 by 12 multiplication table that had empty squares. Each day the missing squares changed. The goal was to build confidence as well as mathematical fluency. As time went on, I moved to fraction, decimal, percent conversions, and other fluency related concepts. I would check in with my intervention kiddos to see how they felt about the lesson and what questions they still had. This was informal, but useful when we had a difficult lesson. It also helped to create a safe place, where some students might not feel comfortable asking in a larger class. Depending on the assignment from the on-level class, I liked to provide about 10 minutes for students to work on homework. This did not always happen, but 10 minutes is the goal. We typically had four center options in my class: small group with me, computers, and two activity stations. The activities varied but my requirements were that they had to be fairly self sufficient and I had an incentive tied to a recording sheet. I think small group instruction can be incredibly impactful in this type of setting. Often, students in math intervention lack motivation and grit. Small group was my opportunity to correct misconceptions, encourage successes, and mostly question them through the process. You can find how I was able to track data here. About once a week, we would focus on a new concept that was coming up in our on-level curriculum. This allowed me to break it down in bit sized pieces and helped students to see it prior to their on-level class. Another reason this schedule was incredible, was the fact that my co-teacher came during intervention time. It was difficult to give her up during my larger on-level classes, but I think she was better utilized during intervention time. Oftentimes, she would circulate the room to help students while I pulled small groups. Others, she would pull small groups. It was nice to have her in a class that was so hands on! When I conducted a survey for readers at the end of the year, math intervention was one of the most commented items. 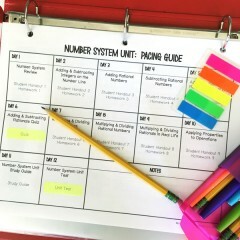 Often administrators are quick to implement math intervention in order to meet RTI and SPED needs. Yet, there isn’t a formula for what math intervention should look like. I know I felt this way the first time I was assigned an intervention class. 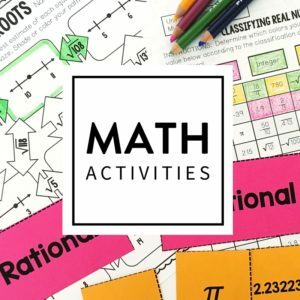 I developed A Starter Guide to Math Intervention as a resource to support teachers who are looking for ideas and structure for their intervention class. It is not all encompassing, but this 13 page resource will help you get your feet wet. Plus, its free, just click the link below. Click to find out more about Maneuvering Math™. Looking for more ideas? 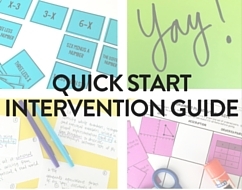 Download A Starter Guide to math Intervention right below the post. 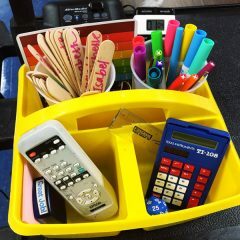 This is a wonderful place to share intervention ideas! Thank you for putting this out there! I’m in the final trimester of my first year as the math interventionist at a middle school, and I feel like so much of my time has been trial and error. Glad I found this to help add to my ideas for structuring the program going forward. Thanks Katie! I appreciate the kind words. Yes, please share any ideas you have found success with. Intervention is so tricky! Thanks so much, Nichelle! Intervention classes are so tough and you are right, lots of kiddos just get placed in there because it is easier. 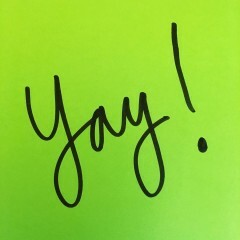 I am glad you are having more success this year! I will do my best to get some other great ideas out in the near future. I’m very interested in this resource, however I put in my personal email and my work email and never received the link to download. Am I too late or did I do something wrong? Heather, I am so sorry! I am not sure what happened. Maybe junk mail? It will have a subject line “Important: A Starter Guide to Math Intervention”. I am going to try again on my end, let me know if you get it or use the contact me feature and I will reply with the attachment. Thanks for your patience! Hi Lee Ann, I am sorry about that! I have manually sent it over, so please use the contact me feature on my site if you don’t end up getting it. Thanks! When you used multiplication tables with different missing values each day (for skill drills), did you make those by hand each day or do you have another trick or resource to make these? Hi Jennifer! I made the 12 x 12 on my computer and then would just delete various answers and print. Thanks! A huge thank you. 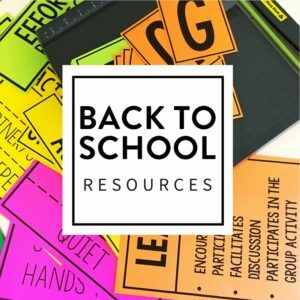 I am starting centers in a middle school resource room and am looking for anything to help plan. I plan to do mostly remediation in both math and reading with the students. THANK YOU for the great and free resource. Glad you like it Emilie! Thank you! I’m very interested in the starter guide. I typed in my email address and did not receive the guide. I checked my junk folder, but could not find it. Would you be able to send it to me? Thank you so much! Hi Laura, I am so sorry! Sometimes school email accounts do like my email provider. Email me or use the contact us page and I will get it right over. Thanks! I am excited to find this resource. I tried a couple times to have it sent to me, but I haven’t received it. Would you send it to me? Thank you! Hi Renee! So sorry about that! Sometimes school email addresses don’t like my email provider. I would suggest trying another email address. Thanks! 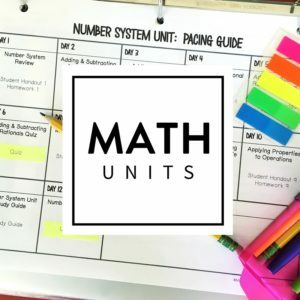 I am a Math Interventionist- so this site is very helpful to me, as I have always struggled with the best structure for the class that will reach all students. You mentioned for your rotations that you had a recording sheet with incentives. Do you have a copy of what that looks like?? Hi Ashley! Thanks for your kind words. It was super basic- just a one page with the various rotations I expected them to complete and then anything I wanted them to record. For some students, I would initial their work when I checked it. But overall, it just provided a bit of accountability, a place to show work, and I was able to keep track of who had earned what incentive. Thanks for your helpful ideas and insights. 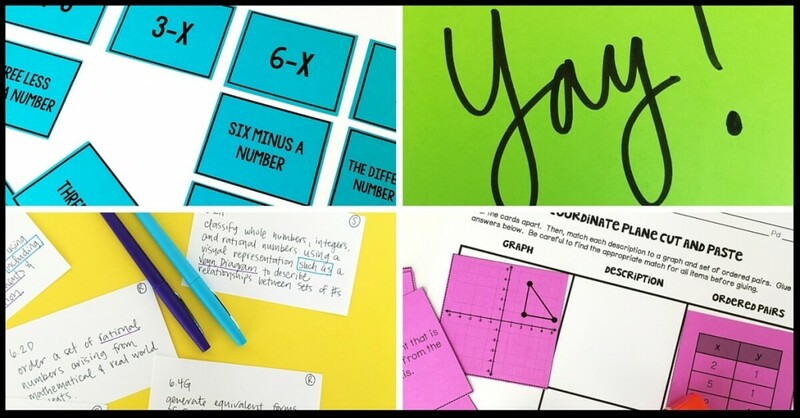 I am a math interventionist for mixed 7-8 classes in a junior high. A challenge I am facing so that my class only meets every-other day on a Day 1/Day 2 Schedule. Some weeks I see students on M-W-F and then T-Th the following week for a 60 minutes period. What adaptations might you offer a for schedule like mine? That is a great question Amanda! 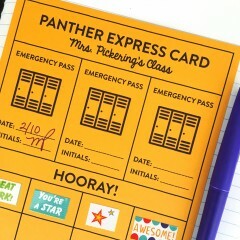 I think that I would for sure incorporate a time of pre-teaching. Since you won’t be able to address misconceptions right away, I think that it could be beneficial to preview some of the concepts and give students a confidence boost when they see the content in their online class. Hope that helps! We have a 25 minute RTI class every day. My class has 20 kids that range from 1st to 70th percentile in math. We have been told to do centers but I’m struggling with student buy-in and meeting such a range of needs. Any suggestions? Hi, Hannah! Wow, that is quite a range. I would suggest using Khan academy for some of your higher students. Here are some posts to help. Here and here. And working with some of the lower percentile students on foundational skills in a small group. Here are some tips to get you started. Best of luck!